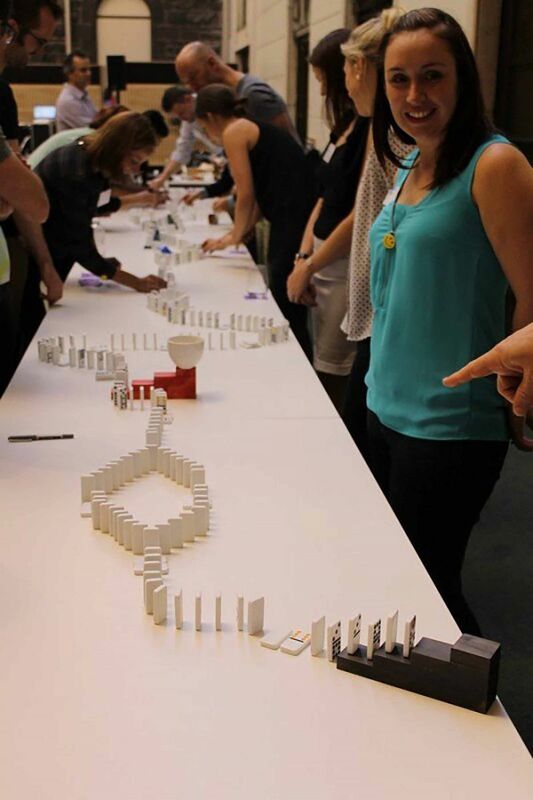 Teams use communication planning and collaboration to create a giant Domino masterpiece. 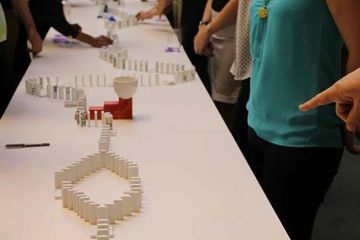 In The Domino Effect, each team is tasked with creating their very own giant Domino masterpiece, each with their own intricacies and adaptations. 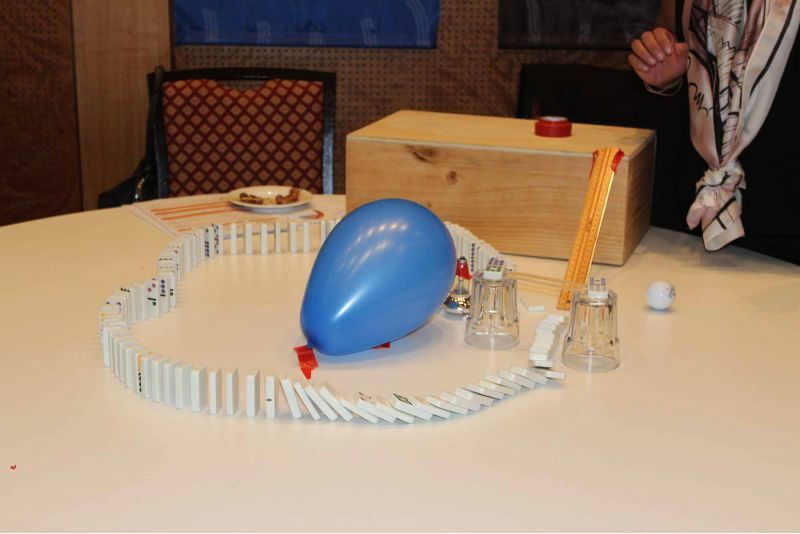 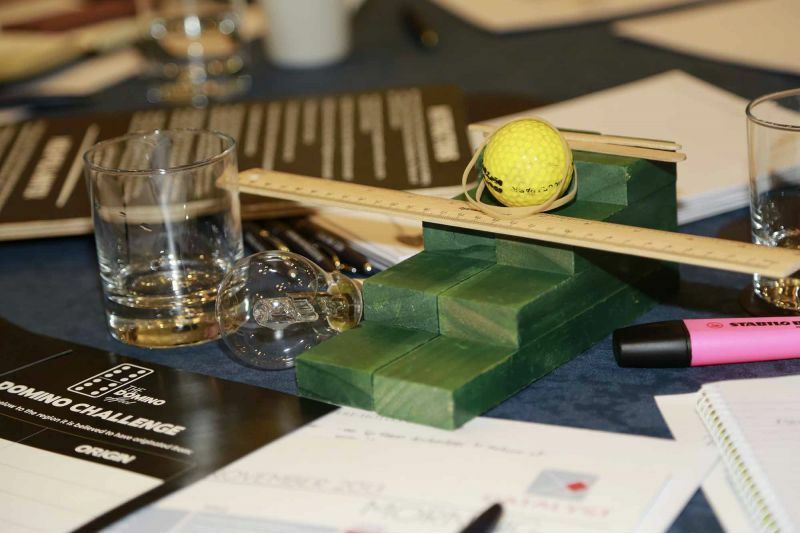 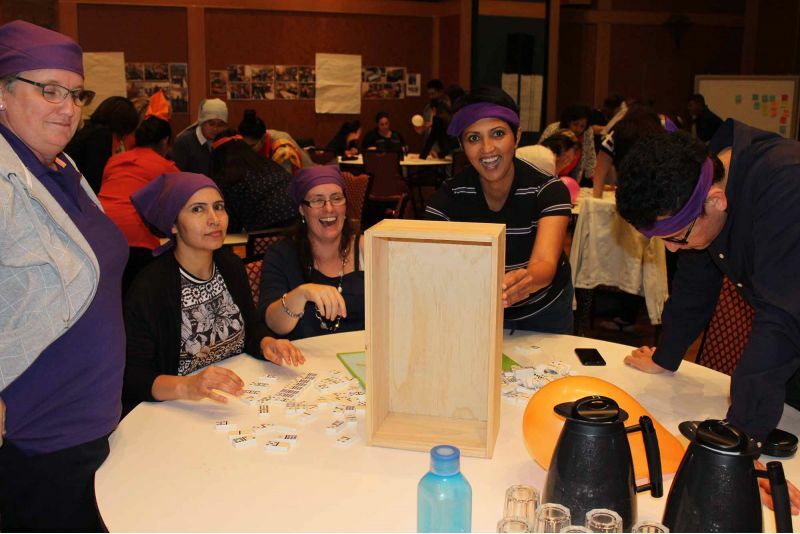 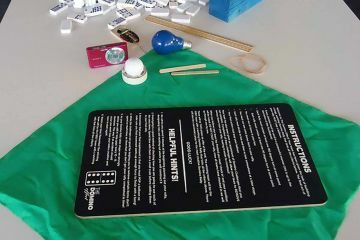 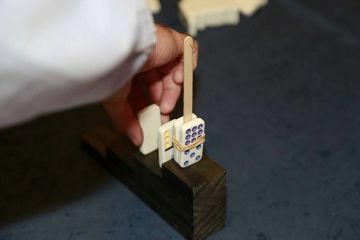 The first part of the activity requires teams to compete for various items that will be included in their domino structure such as light bulbs, books, balls and pins. 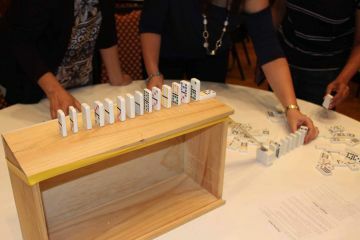 Next, teams receive dominoes and other materials they have earned to build a masterpiece. 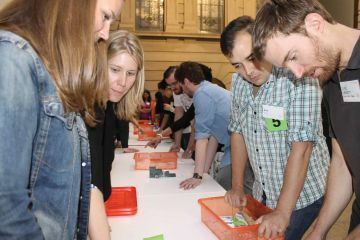 Each team's piece of the puzzle counts. 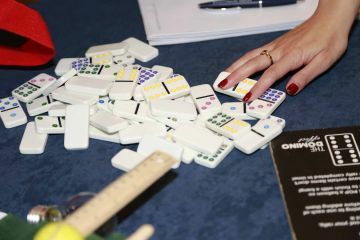 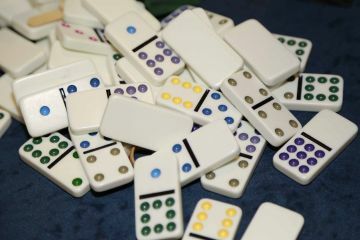 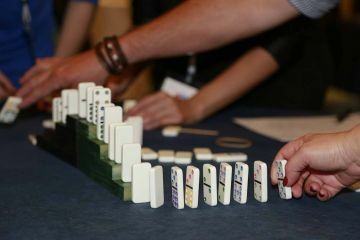 The coordination and connection between each of the team's domino runs ultimately ensures whole group success. 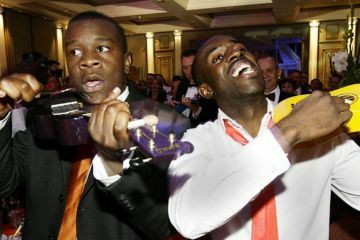 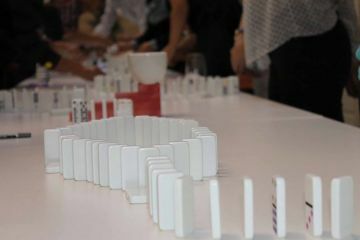 Who will have the steadier hand? 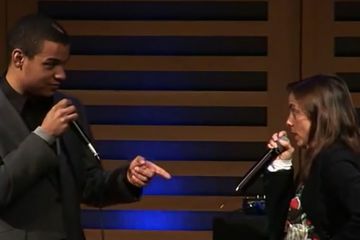 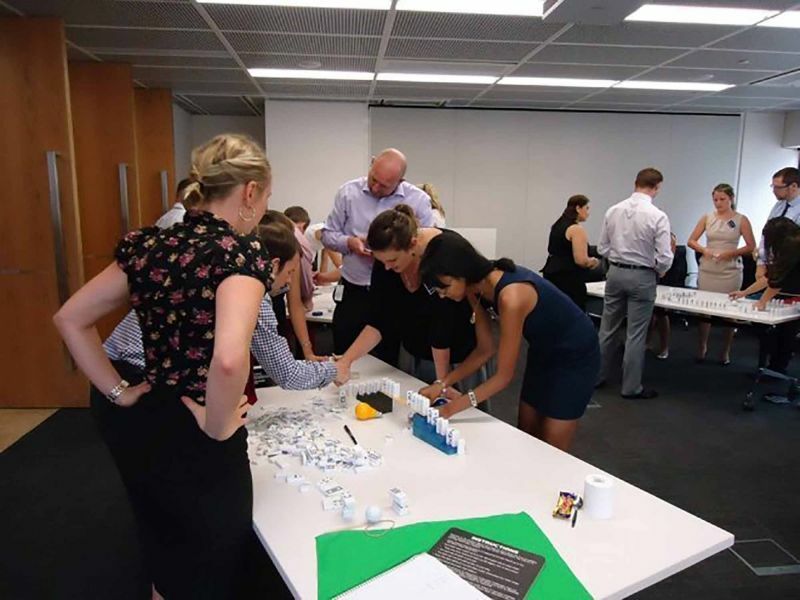 The greater ideas for creativity and innovation? 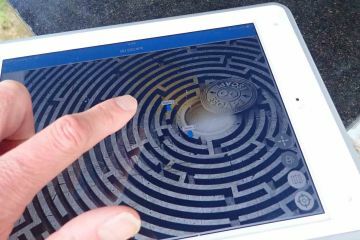 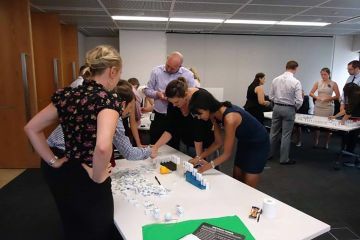 Will your team be able to ensure that every element is going to work, it might be a good idea to do some prototyping before the final event! 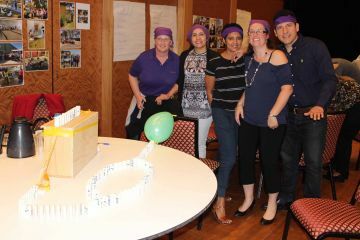 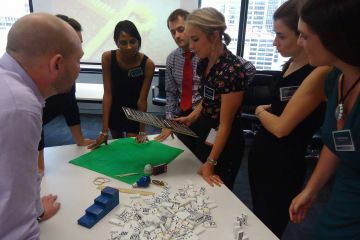 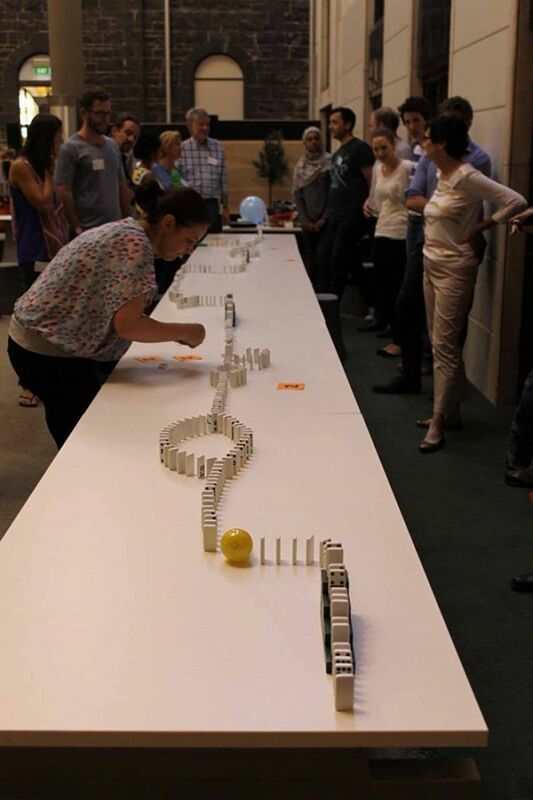 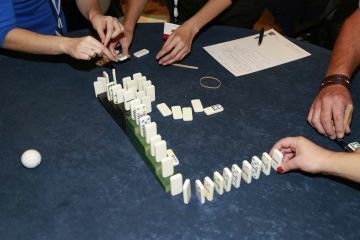 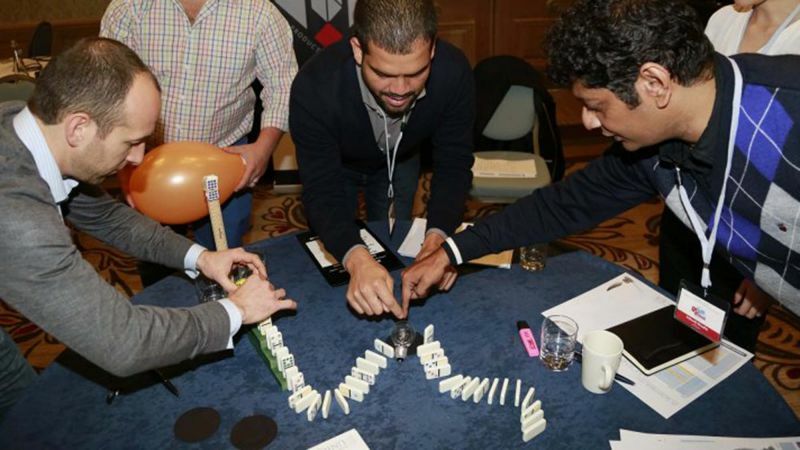 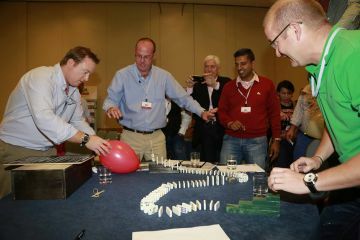 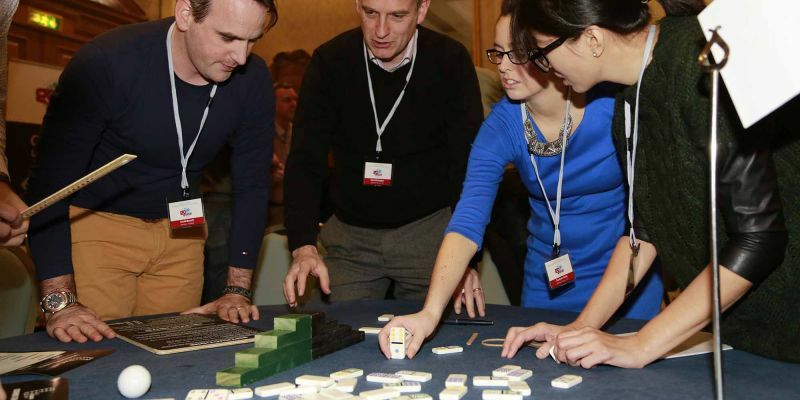 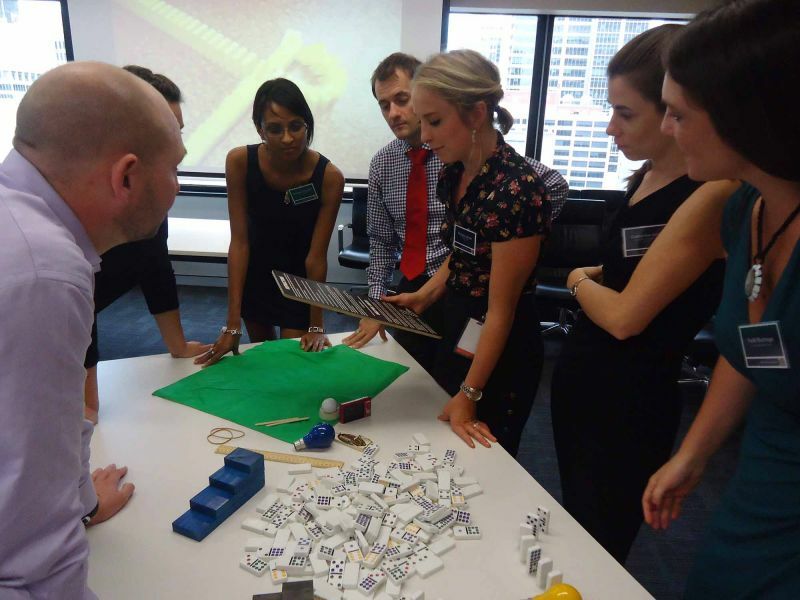 In The Domino Effect intra-team collaboration is imperative to plan, design and build a creative, unique domino run. 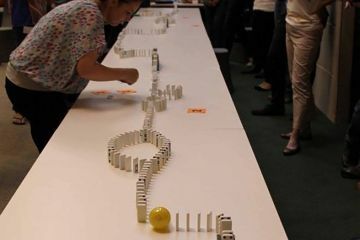 Teams must test and retest their work, a great metaphor for the importance of process improvement. 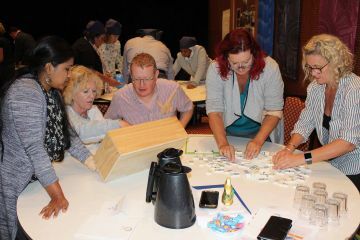 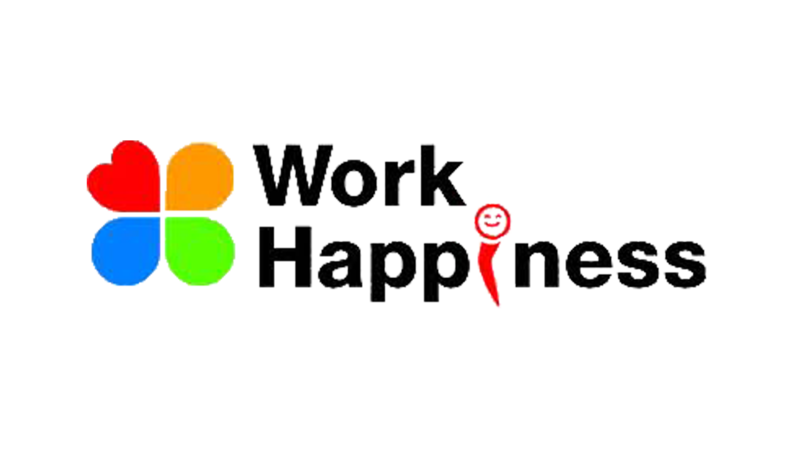 Then, in the construction of the final grand creation cooperation and effective communication between teams is essential to ensure each team's work connects to the next flowing as intended. 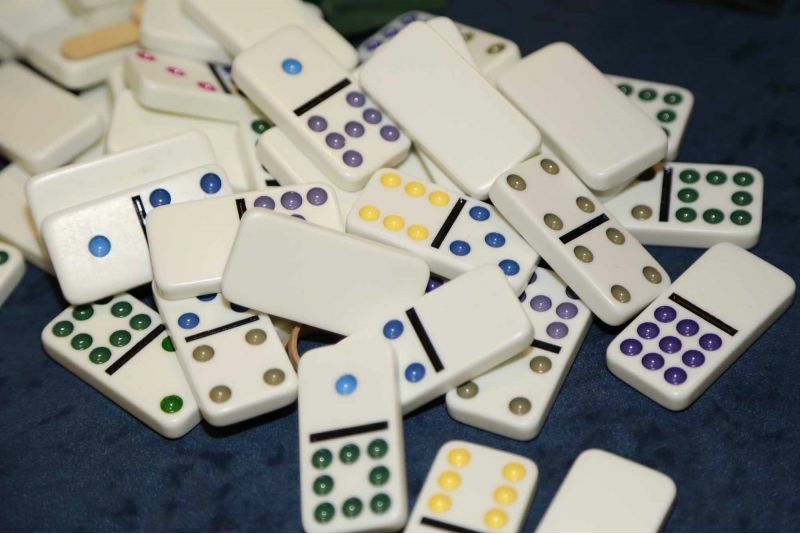 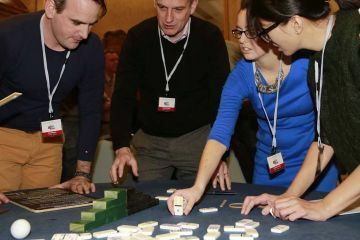 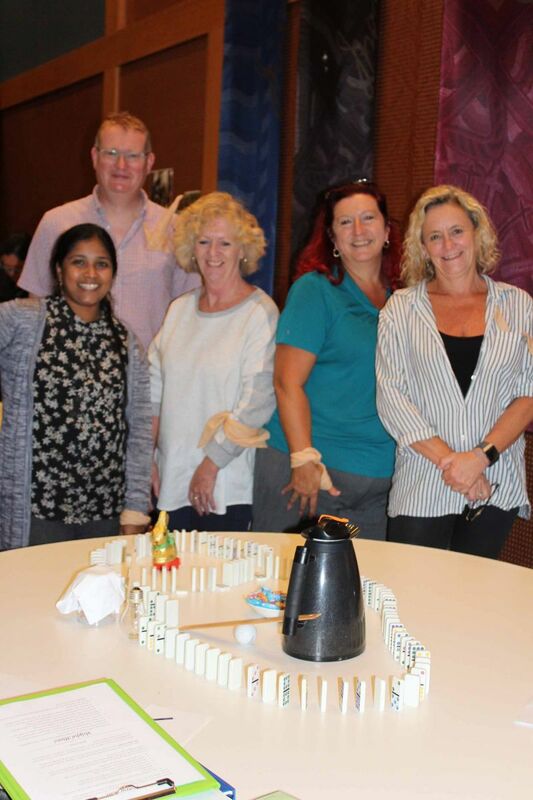 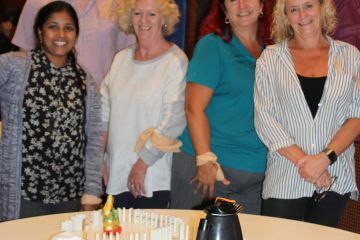 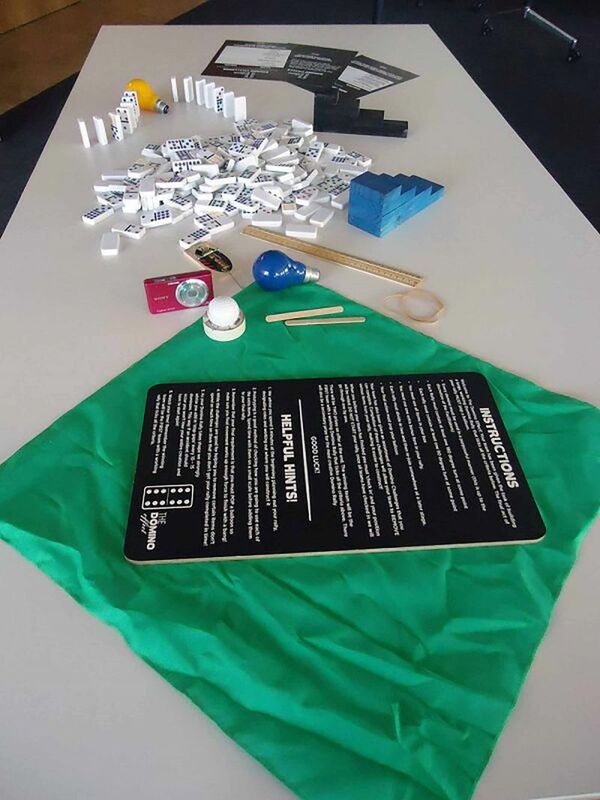 Domino Effect is a team building game with profound learning outcomes that are easy to adapted into everyday work situations. 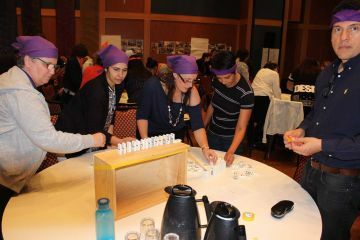 Debrief after the event turns this game from a common past time entertainment into a way of learning.